Successfully Added 4K Android 6.0 TV Box - Octa-Core CPU, Dual-Band Wi-Fi, Google Play, Kodi TV 17.0, Bluetooth 4.0, 16GB Internal Memory to your Shopping Cart. Featuring the latest android 6.0 Operating System the KM8 PRO Amlogic S912 TV Box gives you the means to turn your regular television into a state of the art Smart TV. Get unlimited free access to millions of Apps, movies, games and more. With Google Play and Kodi TV this Android TV Box offers you years worth of joy and entertainment. Supporting 4K resolution the KM8 PRO Amlogic S912 TV Box allows you to watch the latest movies, series, and your favorite live sport matches in stunning detail. With its massive Octa-Core processor that has been clocked at 1.5GHz, this smart home accessory is capable of handling the latest 4K movies and most demanding of games without dropping a single frame. Backed up by 16GB of internal data and supporting up to 32GB external memory this Android TV box offers enough storage for all your latest downloaded media files without ever having to worry about running out of space. With its dual-band Wi-Fi connectivity, this Android 6.0 TV box offers the fastest data transmission speeds out there. Download the latest games in the blink of an eye and stream online movies without experiencing any lag. 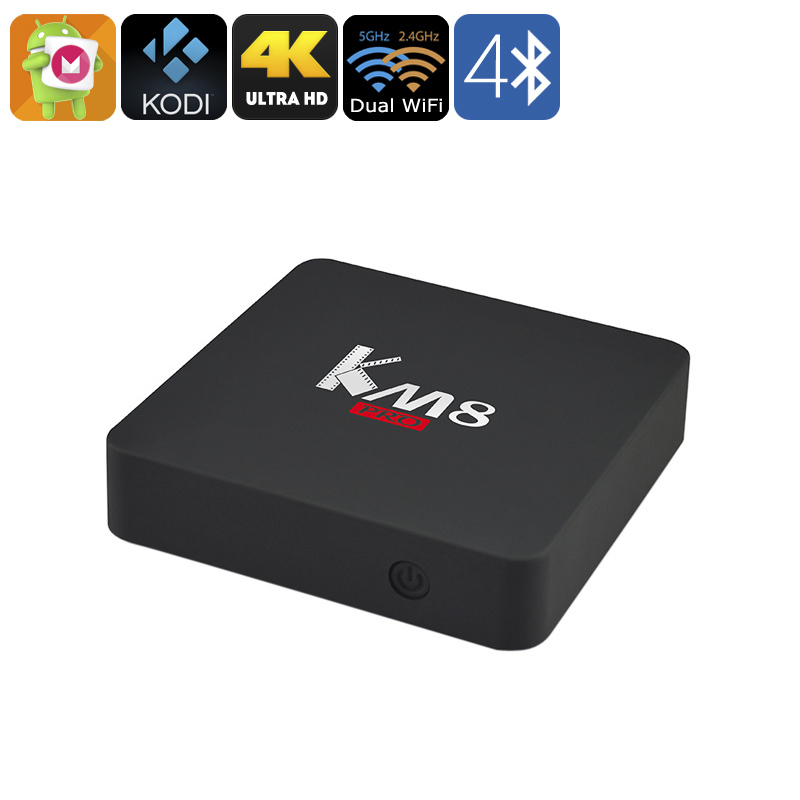 The KM8 PRO Amlogic S912 TV Box is guaranteed to offer a smooth and lightning fast user experience. This TV box is the perfect smart home accessory that brings hours of joy into your household. Play games, watch movies, and browse the web – the KM8 PRO Amlogic S912 TV Box is the perfect entertainment system for people of any age and comes now with a remarkably affordable price tag. This 4K TV Box comes with a 12 months warranty, brought to you by the leader in Android TV Boxes as well as wholesale electronic gadgets..